There are plenty of indoor activities that can be done by adults, and one of which is playing games. 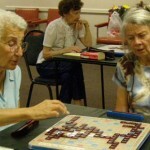 Games for senior citizens can help in improving memory, socialization, interaction, and relationships with other people. 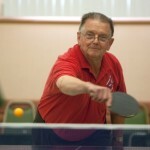 Any people from all age groups can enjoy and play different games. Games can be healthy mentally, physically, and emotionally, which can contribute to the well-being of people, especially seniors. For seniors, it can be hard to find a great pastime that can keep them entertained while maintaining social interactions with others. Playing games can be a great and inexpensive way to keep entertained while maintaining social interaction. 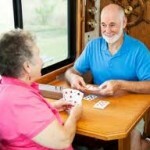 Seniors who engage in playing different games possess lesser risk in developing dementia and Alzheimer’s disease, since playing games can keep the brain active and can improve brain functioning. Each person has their own personal preference on what specific type of games they want to play, however there are certain games that are simple enough, challenging enough, and yet not boring that are perfect to be played by seniors. 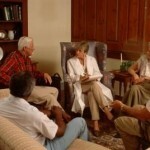 In planning and choosing the right game for seniors, it is best to choose a game that will not cause any distress or confusion to the players. Crazy Eights can be played by 2 to 4 players. This game is known as a type of “Stops” game, since players can be stopped from discarding a card if they don’t have a proper card on hand. Solitaire is a type of card game that is played solitarily. Bridge is a card game that is a trick-taking game. An ordinary deck of 52 cards are used during this game and are played by 4 players. 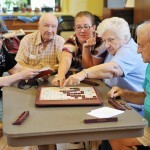 Another type of game that can enhance social interaction with other seniors and brain function are board games. 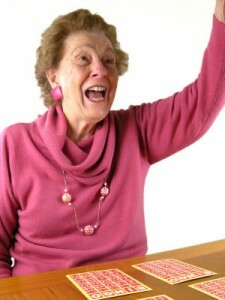 However, there are board games that are a bit complicated and confusing for seniors. Choosing board games that are simple enough to play and have big letter fonts are important. Scrabble is a word game that can be played by a minimum of 2 players and a maximum of 4 players. Players will have to form words out from their letters on hand. Bingo has been very famous all around the world for a very long time. This game will not be just fun, it can also be very exciting and interactive. Nice post! Keep up the informative work! 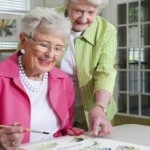 Good articles for seniors and senior activities!